The Rafale-AgustaWestland argument has been rocking the Parliament for some time now. Here are the basics you need to know while our politicians fling mud at each other. On Monday, the BJP, led by Law Minister Ravi Shankar Prasad, quoting a report by India Today, alleged that the Congress and Rahul Gandhi were raising the Rafale issue only to benefit one of its competitors — Eurofighter. The report revealed that Guido Haschke and Christian Michel — the two middlemen involved in the VVIP chopper deal — were also apparently involved in drafting the strategy for Eurofighter in the Medium Multi-Role Combat Aircraft (MMRCA) deal. So, what is this new revelation all about, and what does it tell us about the politics and investigation of the two most controversial arms deals of the past decade? Italian and Swiss police raided the offices and residence of the Italian middleman Guido Haschke in early 2013. A series of documents, diaries and communication papers emerged subsequently, which revealed the scam for the very first time. Italian lawyer Eugenio Fusco included many such documents in his prosecution before the trial court in Busto Arsizio. While the documents directly related to the AgustaWestland case have been in the public domain for some time, there are other documents seized in the raids which remain unreported. The India Today report is based on one such document, reportedly titled ‘strategy paper’, which showed that the two middlemen accused of getting kickbacks during the VVIP chopper deal were also allegedly involved in the MMRCA fighter jet deal — only they were apparently working in favour of Eurocopter. India had proposed to buy 126 fighter jets in 2007 and had floated a proposal to six bidders including Eurofighter and Rafale. The 'strategy paper' was allegedly prepared in 2008 by both Haschke and Michel. While other competitors were eliminated in the screening process, both Rafale and Eurofighter remained in contention to win the MMRCA deal. In 2012, Rafale was finally announced as the preferred choice. 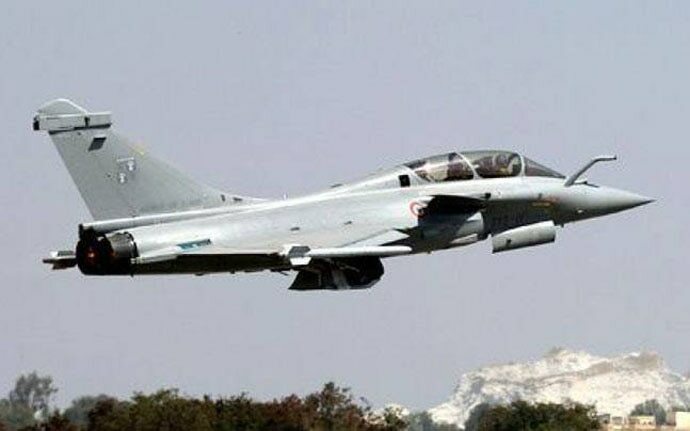 While the negotiations continued between India and the makers of Rafale Dassault aviation for several months, the Eurofighter made consistent efforts to make a comeback into this deal. While the investigation and prosecution on the AgustaWestland case have been going on at various levels in Italy and India, there has not been any official investigation on Rafale so far. Christian Michel and Guido Haschke have accused by the Central Bureau of Investigation (CBI) and the Enforcement Directorate (ED) in the charge-sheets for their alleged role in AgustaWestland case. Therefore, any possible involvement of these middlemen in the MMRCA deal raises suspicion. However, here is the catch — while Christian Michel is in custody of the Indian authorities, the co-accused Guido Haschke is in Switzerland. An Interpol red corner notice was issued against Haschke following a request from the CBI — but it was revoked in 2016. And because Haschke has already served a minor sentence in Italy, chances are that he may never be extradited to India. In Haschke's absence, it would be difficult to authenticate and corroborate the important documents pertaining to the MMRCA deal — he is believed to be the prime contact in this arrangement with Eurofighter makers. In an election year, everything boils down to politics. While the investigation into the VVIP chopper deal is being carried out by both the CBI and the ED — and there is a parallel debate going on over the independence of the CBI — it is worth noting that only the ED has informed the court that Michel has reportedly mentioned political names such as that of Sonia Gandhi. While the BJP is extracting maximum political mileage out of these developments, there has been no demand from the party to start an official investigation into the MMRCA deal. While the Congress party is embarrassed by the supposed revelations that Michel had advance knowledge of virtually every development in the UPA cabinet, it is still advocating an enquiry into the Rafale deal — hoping it would be a major scoring point in campaign season.